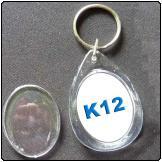 This is a printed acrylic key ring in the shape of a teardrop. The insert (printable) size is more or less 28X37mm. The outer size of the keyring is 36mm wide by 52mm high. 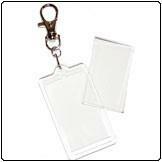 This is a printed acrylic key ring. The insert (printable) size is 30X50mm. 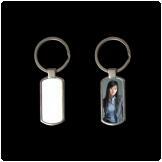 The outer size of the keyring is 38mm wide by 67mm high. 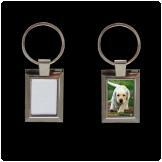 Provide us with a logo, photo, image or any picture or pictures you want us to use in the design for your printed keyring. 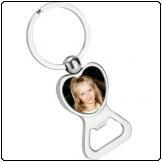 This is a printed acrylic bottle opener key ring. The insert (printable) size is 32X32mm. The outer size of the keyring is 47mm wide by 83mm high. 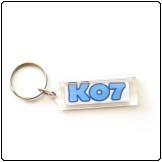 This is a printed acrylic key ring. The insert (printable) size is 14X41mm. 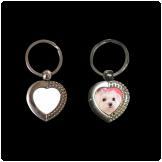 The outer size of the keyring is 20mm wide by 51mm high. 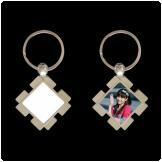 This is a printed acrylic key ring with a diamond border. The insert (printable) size is 28X40mm. 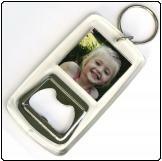 The outer size of the keyring is 40mm wide by 50mm high. 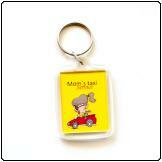 This is a printed acrylic key ring. The insert (printable) size is 31X41mm. 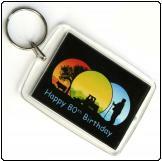 The outer size of the keyring is 40mm wide by 57mm high. 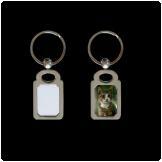 This is a printed acrylic key ring. The insert (printable) size is 44X60mm. 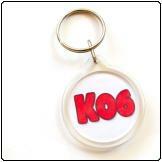 The outer size of the keyring is 54mm wide by 72mm high. 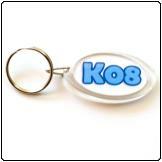 This is a printed oval shape acrylic key ring. The insert (printable) size is 22X39mm. 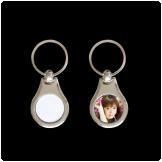 The outer size of the keyring is 28mm wide by 50mm high. 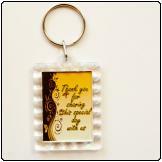 This is a round printed acrylic key ring. The insert (printable) diameter is 36mm. 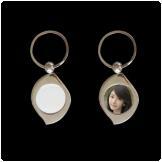 The outer diameter of the keyring is 41mm. This is a metal bottleopener keyring. The printable area is about 21X22mm in size. We use doming to brand this product. Note that as the print area is quite small photos or images with lots of detail do not always come out nice. Text and logos are better suited for this product.